Welwyn Garden City Christian Spiritualist Church was founded on 2nd March 1930 when the first public Sunday service was held. It was a challenging and exciting time with the birth of Welwyn Garden City as a new town and the local pioneers of Spiritualism laying the foundations for the recognition of the beliefs which we are now able to enjoy in freedom. An example of their outgoing spirit is this extract from the 1934 AGM minutes. 'The outstanding feature of the year was when we entertained 32 East End children and their mothers. Al fresco lunch was served in Sherrards Wood, then games and races followed by tea in the Alpha School and amusing concert items by Letchworth Young People'. 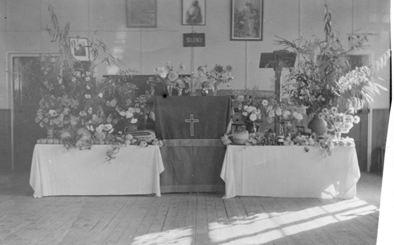 Services were held in many rented meeting places in the town over the years with healing groups and circles held in members' homes, including the home of Jack and Susan Bullard. Jack was a wonderful healer and physical medium and apports from his circles are still displayed in our Church and Susan played the piano for services under spirit inspiration - our mediums' room is dedicated to the memory of this dedicated spiritual couple. Lawrence Hall, Applecroft Rd, Welwyn Garden City. In 1951 we became affiliated to the Spiritualists' National Union. Over the years various enquiries had been made about purchasing a building or a piece of land for our own Church and, following much determination and negotiation by the President of the Church at that time, Mrs Bouttell, we were eventually able to purchase some of the old football ground to build on and our lovely church was opened on 17th April 1971. The church is now used on most days for divine worship and for the spiritual activities which help us all on the path of eternal progress. 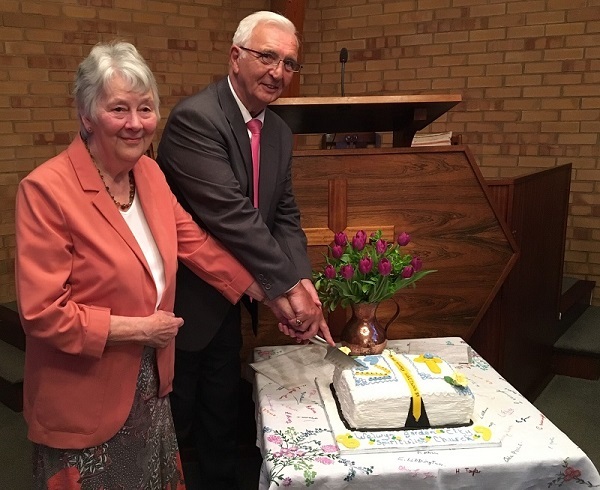 At our annual Anniversary Service each April we thank God, the Divine Spirit for our Church and remember with grateful thanks the dedicated, loving service and hard work of everyone who has contributed to the life of our Church since that first service back in 1930. David Cole was our medium at a wonderful celebration of the 89th anniversary of our church's foundation in Welwyn Garden City and he gave an outstanding address and demonstration of Mediumship. In her address to a packed Church, our President Pat Allman gave a brief history of how the church was started and a plot of land found for the building we know today. As in past years, special thanks were given to all those pioneers and other workers throughout the years who did so much, enabling us to enjoy our lovely church today. At the end of the service our Vice-President, Maree Kilmartin was presented with a plant in recognition of the 20 years she has served as Vice-President. Pat thanked her for all her support during that time. Jan Webb made another of her beautiful cakes, which is traditionally served on a cloth embroidered with the names of all those who had been involved in the founding of the church in the early years. Thank you Jan for such a delightful cake! It is amazing how you create something so different each year - such wonderful designs.